Arts Orange County's Executive Director Rick Stein shares his thoughts & impressions about this community's rich cultural scene and invites you to join in the discussion. Two opera super stars from Orange County are playing the leads in "Annie Get Your Gun" at Glimmerglass Opera Festival in Cooperstown, New York--Deborah Voigt & Rod Gilfry (ArtsOC is honoring Rod at the 12th Annual OC Arts Awards on September 20th). Here is what the New York Times said today about their performance. Anyone expressing impatience over the ultimate fulfillment of the dream to create a "great park" on the former Marine Corps Air Station El Toro first needs to be reminded that some of the greatest parks, like New York's Central Park and San Francisco's Golden Gate Park, took many decades to evolve. But, second, they owe it to themselves to pay a visit to the park, which just welcomed 25,000 people on Saturday to its anniversary celebration, "Growing the Park," complete with hands-on arts activities, performances, exhibits, food, air show and fireworks. Arts Orange County coordinated more than a dozen arts organizations and performing groups for the event. 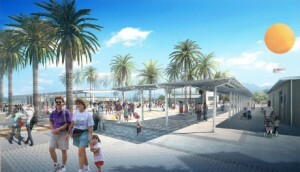 During the celebration, the public had its first opportunity to visit the latest step in the park's evolution: the opening of its Palm Court Arts Complex. The Palm Court (so named because of its expansive plaza containing 54 gigantic, shade-producing Canary Island palm trees) consists of two former squadron buildngs that have been renovated into an art gallery and a raw studio space for the park's new artists in residence program (ArtsOC consulted with the park on the selection process for that program). The official opening of the inaugural art exhibition in the gallery is on July 23rd, and I'll post something about it at that time. But mark your calendar to attend and to explore some of the other riches the park has to offer. Shag returns to sign more autographs! In case you missed last Saturday's opening and signing with SHAG, he will be at Grand Central Art Center again, August 6, 6:00-7:00 p.m. signing more posters, books, and merchandise. "Julius Caesar" opens the season at Shakespeare Orange County in the Festival Amphitheatre in Garden Grove.I served as managing director from 1987-1990 of its predecessor organization, Grove Shakespeare Company (aka Grove Theater Company), which also operated the adjacent Gem Theater, a restored 1920s movie theatre (now operated by One More Productions). When I was being interviewed, during the summer of 1987, I saw Grove Shakespeare's "Julius Caesar" in a splendid production directed by Jules Aaron. In addition to "Julius Caesar," Shakespeare Orange County is presenting "The Comedy of Errors" and "The Complete Works of Shakespeare, Abridged". It's not just Hollywood that's going 3D these days (though there are some who say that it's already "jumped the shark"). 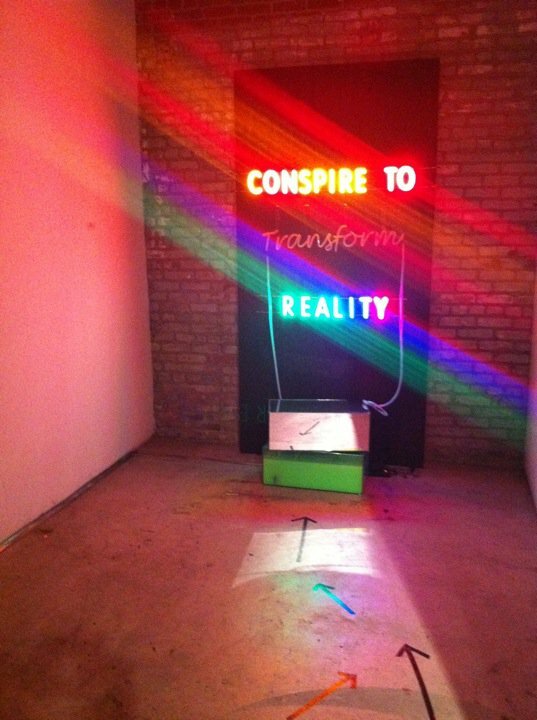 Orange County Center for Contemporary Art in the Santa Ana Artists Village opened a 3D-themed exhibition by its affiliate artists last Saturday night. Since this is a varied group of creative individuals, their expression of the theme was quite eclectic. 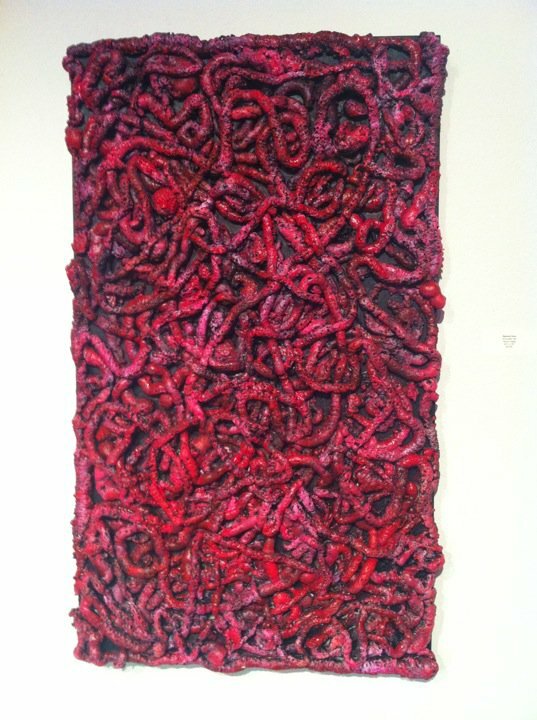 I was most taken by the provocative neons of Joella March, like "Conspire to Transform Reality," appropriately exhibited within its own niche, and the worm-like paintings of Pamela Grau (pictured: "Entangled")--a continued evolution by a talented artist whose work I admire (it was great seeing her there, sporting a full head of hair, following a chemo regimen last year). 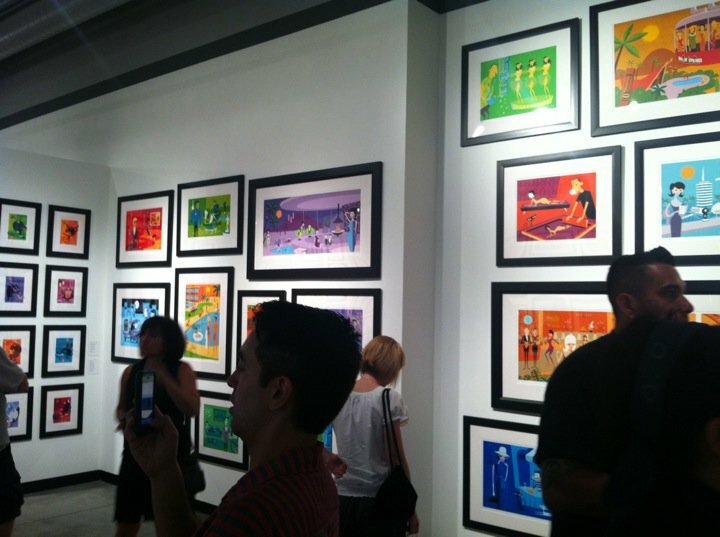 But there is much more to enjoy in this show, which runs through July 30th. Returning from this morning's workout, I had Pandora on my iPhone, listening to the "Burt Bacharach" Channel I had created, which led me into the world of Antonio Carlos Jobim, Joao and Astrud Gilberto, and "Wave," a world in which I would live a carefree existence forever. That's the world in which an artist named "Shag" lives, or so it seems to me. 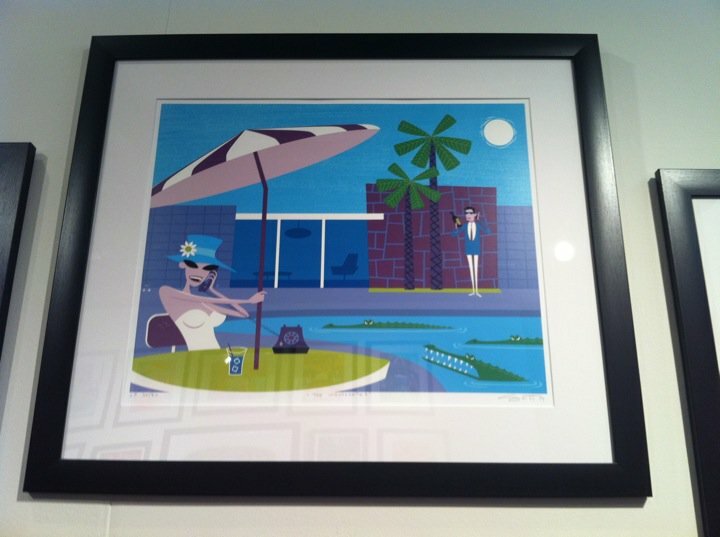 The 49 year old Josh Agle's work (his name comprises the last two letters of his first and first two letters of his last name) is well known to Southern California art lovers from multiple group and solo exhibitions, the latest of which is "Hand Pulled: The Complete Shag Print Collection" at Cal State Fullerton's Grand Central Art Center Gallery in the Santa Ana Artists Village. The beatnik, 50s deco line drawing caricatures set against day-glo oranges, yellows, blues, magentas and greens are OF that era--but not FROM that era. Judging by the line around the block of perhaps 100 or more Shag-lovers waiting to get posters & books signed by him before Saturday night's opening, his work has struck a chord right out of "Girl from Ipanema" territory. I hesitate to call it retro because he's no johnny-come-lately to his style--rather, I'd say he was born to bossa nova. And for someone like me, it was something to revel in. The exhibit continues through August 6 and admission is free. My only excuse for the long absence is that I was directing a play, which has now opened. Also, that I haven't been quite as motivated to blog since it's easier to just post one-liners on Facebook and Twitter. 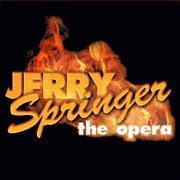 At last, though, an issue has arisen that certainly got my attention and made me want to comment: the protest campaign against The Chance Theater for its upcoming production of "Jerry Springer: The Opera," a hit musical from London that also has played in New York. I saw the London production--in fact, Michael Douglas and Catherine Zeta-Jones were sitting right behind us! There is a Catholic organization that has sent over 1500 emails to the Chance Theater today to protest what they claim is a blasphemous show. Well, they might as well protest the Jerry Springer show on TV as well, since this is a relatively faithful (though satirical) facsimile of the daily melees representing the worst excesses of American life. And, like the creators of the satirical animated show South Park, "Jerry Springer: The Opera" is an "equal opportunity offender," taking aim at just about everyone and everything. Satire isn't everyone's cup of tea, and let's face it, some people don't have a sense of humor about their own political or religious beliefs. In one of my earliest years at the Laguna Playhouse, I produced the classic play "An Enemy of the People" by Henrik Ibsen. This was at a time when Laguna Beach environmentalists were fighting the development of the 73 Toll Road. The play is about a doctor who discovers that the spa waters in his town are severely polluted & orders it to be shut. His brother, the Mayor, refuses to do so because it's the town's primary driver of the local economy. Townspeople storm the doctor's house & declare him an enemy of the people. He is bullheaded & refuses to leave or to rescind his order. Well, our play managed to offend both the environmentalists--who did not like the critical portrait of the stubborn doctor in this play--AND the development community--The Mission Viejo Company withdrew its support for the Laguna Playhouse because of the play. So, kudos to The Chance Theater for taking on a controversial play. The protesters, however, are probably doing a big favor to the theatre, which is getting far more attention for it as a result of their efforts. My American Theatre magazine review of Richard Pilbrow's "A Theatre Project"
Rick Stein is Executive Director of Arts Orange County, the leader in building appreciation, participation and support for the arts and arts education throughout Orange County. 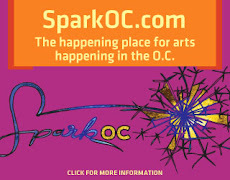 ArtsOC operates SparkOC.com, Orange County's most comprehensive online arts & cultural events resource and produces the annual Imagination Celebration and Orange County Arts Awards. 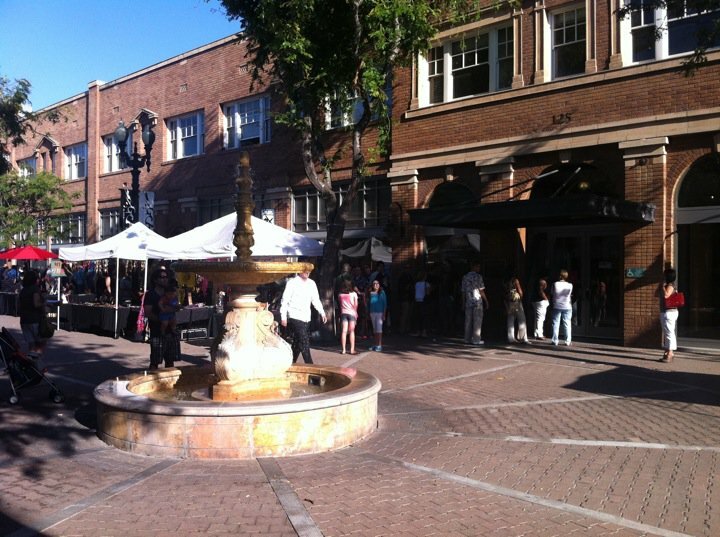 ArtsOC also serves as the official local arts agency of the County of Orange and state-local partner of the California Arts Council.